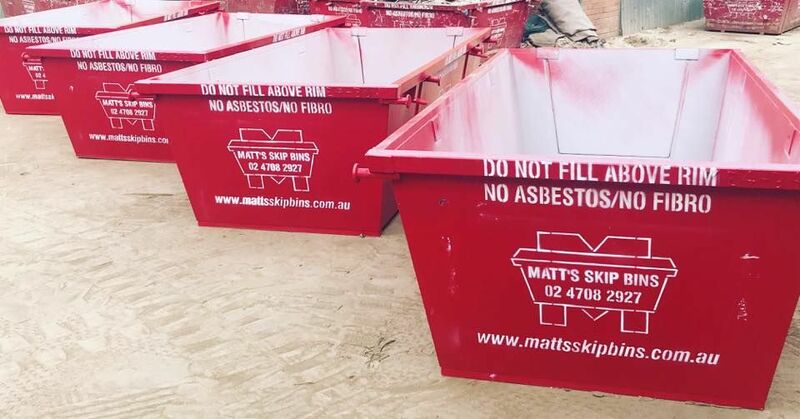 Whether you’re working on a large building site or performing a garden makeover, Matt’s Skip Bins has a rubbish removal option for you. One or more of our 9m cubic metre skips could be the perfect way to keep your site clean, safe, and efficient. 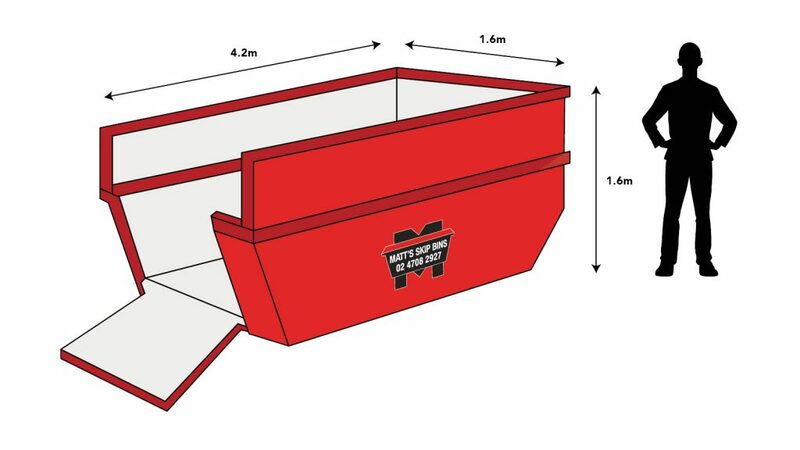 We have more than 150 skip bins available for hire, making us the perfect option for commercial options around Western Sydney. We serve Penrith, the Blue Mountains, Oran Park, Windsor and beyond! Not sure if a 9m skip bin is right for you? Go bigger or smaller and find the right bin for the right price for your job. Explore your options here or get in touch for expert advice. How Much Can I Fit in a 9 Metre Bin? The capacity of a 9 cubic metre bin is roughly comparable to 9 standard car trailer loads. There are some things that you can’t put in a skip bin, such as nappies, fire extinguishers, liquids and paints. Other items will also incur extra charges, like palm tree trunks removed during your garden makeover. Ready to hire a 9 cubic metre bin? Just specify your waste type, location and hire period, and secure your bin online now. To speak to someone for personalised advice, call 02 4708 2927 or leave us a message.